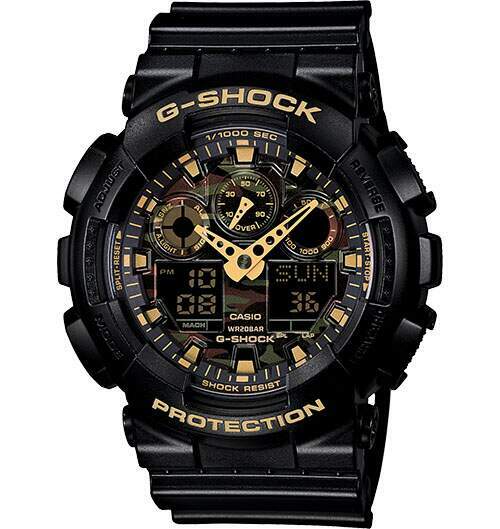 From the popular XL GA-100 Series comes a new collection of models that feature a tiger camouflage pattern face. Basic black or gray coloring is contrasted by the metallic camouflage pattern of the face, which is further accented by the silver or gold coloring of the hands and hour markers. 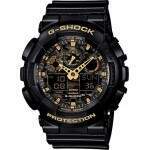 GA100CF-1A9 is an analog-digital watch with black band and gold accented dial.